This November Jim and I (we each have own place and we no longer try to define our relationship but it runs deep and is exclusive) are going to Nepal to climb in the Himalayas to base camp of Everest. I am excited; and given my recent lack of breath, somewhat anxious, but mostly excited. I will definitely blog regularly en route when I can. We have been going to the Adirondacks every couple of weeks to train. Last week we peaked Dix Mountain. The evening before we hiked in about ten km, set up camp at dark and the next day we went straight up that crazy, steep mother for 16 km with fully loaded packs. I thought I was going to die. I kept choking on bugs – I think they would get caught in the vortex of my ragged breathing and get sucked down. Jim, on the other hand, was fine. 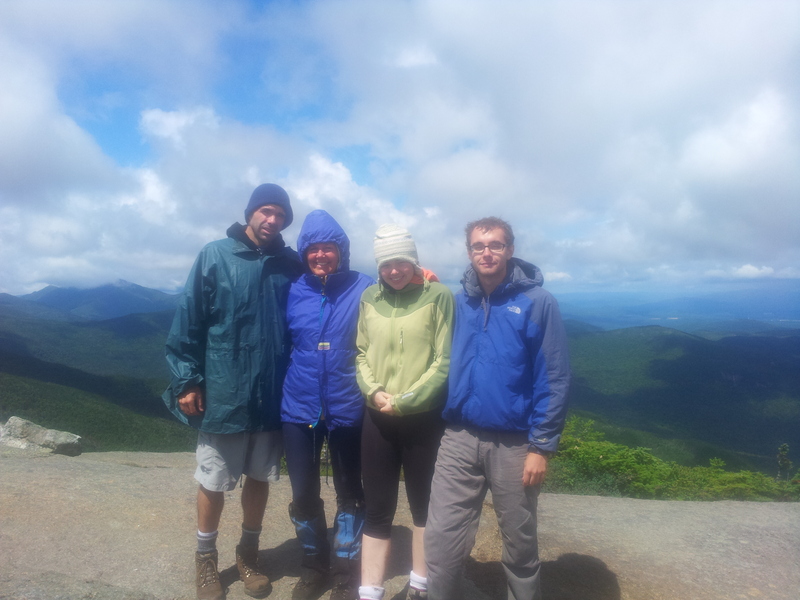 Our daughter, Sabrina, and her boyfriend Ben trekked up Gothics Mountain with us a few weeks ago. They were such good company and we had a great time. Sabrina has just decided to do the 2016 Ironman in New Zealand. I will definitely be sitting that out but what fun it will be to watch her. In the meantime, I will keep trying to muster through my five km loop.